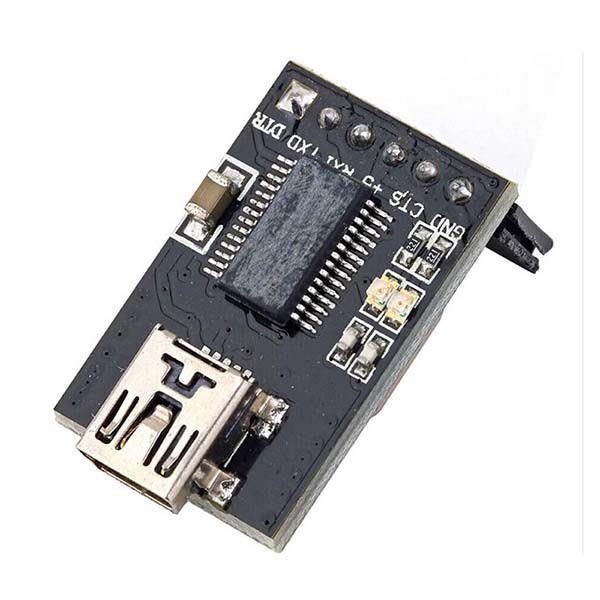 The FTDI USB to TTL breakout board is a USB to Serial (TTL) which makes it fast and easy to connect devices with a TTL level serial interface to USB. It is based on the standard FT232RL chipset. This board is configured to operate at 5V but can also operate at 3.3V by bridging two connecting pads. One big feature of this board is that it brings out the DTR pin as opposed to the RTS pin of the FTDI cable. The DTR pin allows an Arduino target to auto-reset when a new Sketch is downloaded. This is a really nice feature to have and allows a sketch to be downloaded without having to hit the reset button. This board will auto reset any Arduino board that has the reset pin brought out to a 6-pin connector.